Torcan Coatings Inc. carries a wide selection of Norton Sandpapers. For over 110 years, Norton has provided the innovative abrasive products and solutions that our customers require. Whether you're sanding a piece of furniture, finishing a turbine blade or slicing a semiconductor component, if you are using abrasives, we have the product and the know-how. 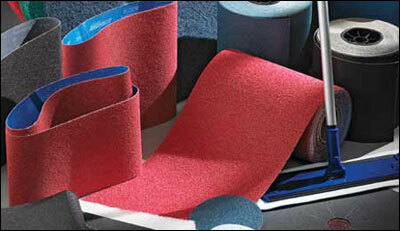 Today, Norton manufactures and distributes the widest range of abrasives and related products to many different markets. As a brand of Saint-Gobain, a world leader in manufacturing and distribution, Norton supports major markets including metalworking, automotive manufacturing, automotive aftermarket, aerospace, woodworking, bearing, sporting goods, Do-It- Yourself retailers and the foundry market. Norton is the world's leading supplier of bonded abrasives, with more than 250,000 types and sizes, most custom-designed and engineered for specific applications. Sanding is often the most overlooked surface preparation operation. The quality and uniformity of the sanding process directly affects the quality of the finished piece. Norton has an extensive line of sanding sheet products, from 3X High Performance sheets to general purpose/traditional - specific to finishing your sanding project fast and easy.